There are so many things I want share with you about Shakeology: the ingredients, all of the amazing things it can do for your body, how nutritious and healthy it is, what doctors say about it etc. I will post some of the answers to those questions below for you, But I also want to share with you Why I Love it and what it has done for me! So why do I love Shakeology? It is a NOT “just a protein shake”, but a TRUE nutrient dense, healthy meal replacement shake packed full of 70+ Super Foods. 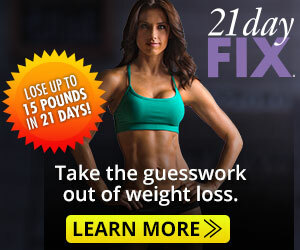 It is not a “lose weight quick” gimmick. You WILL lose weight if you replace a meal daily with it, but there is nothing in it that will make you lose weight. It is not a “diet” Shake. It has the equivalent of approximately 9-11 vegetable servings in each shake. I am a busy mom, and I get that afternoon slump! I would get so tired and hungry and CRAVE something sweet around 3:00. Not anymore! I love my afternoon snack! It is so DELICIOUS and FILLING! I get that extra boost to get me through the afternoon without a case of the Mom “Grouchies” or “Snackies”. Plus I know I am giving myself something HEALTHY even though it tastes like a TREAT! It keeps me full for AT LEAST 3-4 hours. It is easy, convenient and taste great! Bottom of the bag guarantee! Again, this is all MY personal experience, and I truly hope it helps you make your decision to try Shakeology and see for yourself what it can do for you! I will probably drink Shakeology as until forever :). Did it help my digestive issues? I can say that my tummy is definitely much happier with me when I drink it daily! I don’t claim it as a miracle drink and neither does Beachbody and that’s the biggest reason WHY I love it. Shakeology is just a ridiculously tasty, super healthy, nutrient dense, and very convenient meal replacement option. I love it so in my opinion, it’s worth every penny. If you have any questions, please contact me! tonistoothoff@hotmail.com or on facebook!